One year ago, we were already in the hospital with Evie, who was prepped for her big day. It's not every day that your child goes in for open heart surgery. I felt terrified, excited, anxious, and confident all at the same time. Terrified because of all the risks of heart surgery. Excited because finally my baby wouldn't be too tired from the 3 holes in her heart to do anything. Anxious because Evie's life was in someone else's hands. 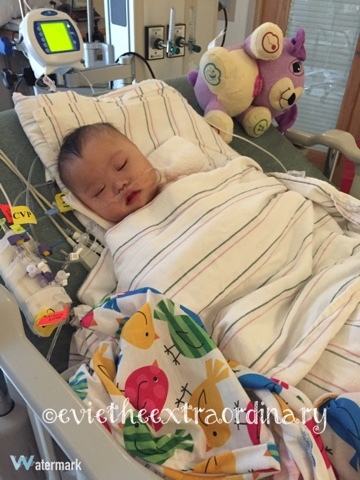 Confident because Evie was already a miracle from God, and He had already shown us that she had things to do in her lifetime! When Evie was picked up by a nurse and the nurse walked away from us to the OR, she looked over her shoulder at us and my arms felt empty. The hours of waiting went in segments of phone calls of updates from the nurse. We wandered around the hospital, just waiting for the next call. The hardest segment was after the call that Evie was on the bypass machine, which essentially meant that her heart was stopped for the crucial part of the surgery. As I write this, I feel a twinge of that urge to cry or rush into the OR to hug Evie. But Evie is sleeping soundly in the next room! When the call came that Evie's own heart was beating again on its own, I felt a burden whoosh out of me. Erick seemed unflappable through the whole thing. That was infuriating and reassuring at the same time. As Evie recovered, her personality came back, and for someone who had her chest cut open, she healed up very quickly! The whole story is in my blog a year ago. 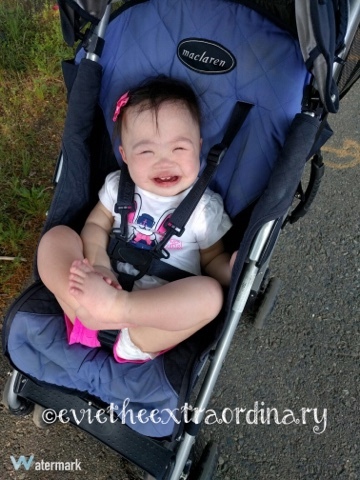 Today, Evie is a squirmy, feisty toddler who rules us with her smile. I am thankful every day for Dr. Quinonez, our heart surgeon, for Dr. Rathod, our cardiologist, and for Dr. Prosnitz, the cardiology fellow who has followed our case from the beginning. 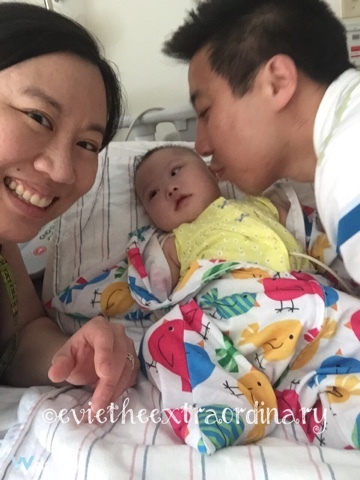 Because of them and God's healing, Evie is strong enough to dive bomb towards the floor because she wants a toy, and shouts in excitement when Daddy plays peek a boo with her. Happy Heartiversary, Evie! Mommy and Daddy love you so much! !